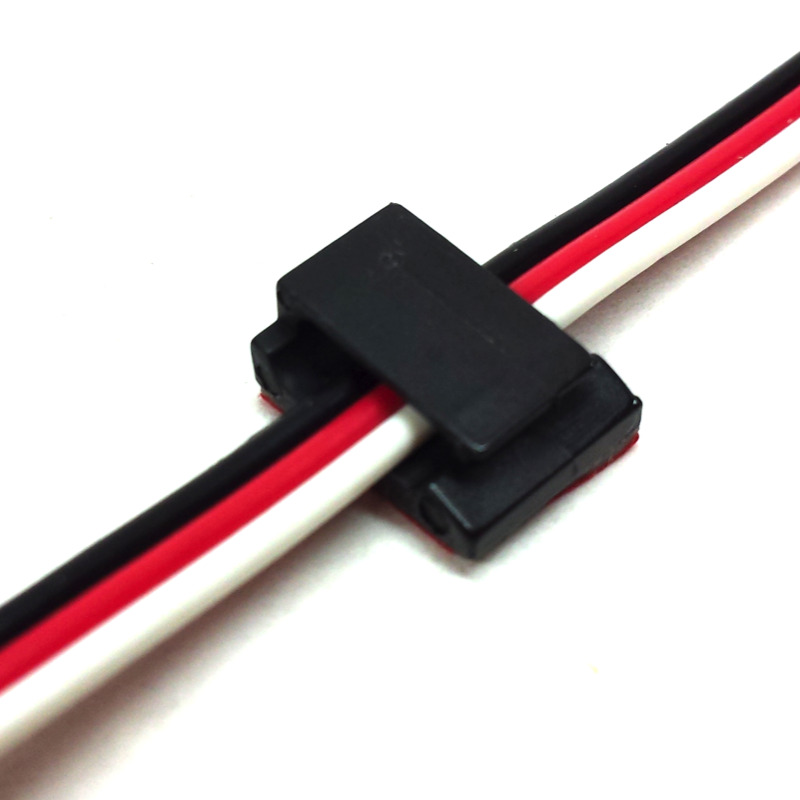 These Self Adhesive Wire Clips are handy for securely mounting cables to your robot. Simply stick them onto your robot and clip wires into them for a secure attachment. Wires can be easily removed and reattached, making these clips easier to use and reuse than zip ties. 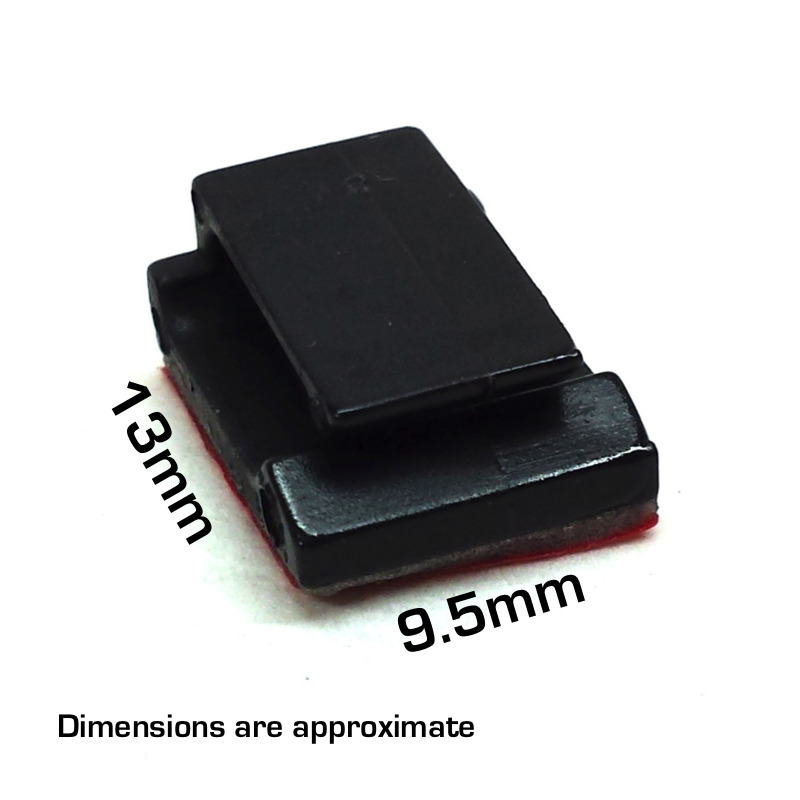 These Self Adhesive Wire Clips are handy for securely mounting cables to your robot. Simply stick them onto your robot and clip wires into them for a secure attachment. Wires can be easily removed and reattached, making these clips easier to use than zip ties. Sized to hold up two 3-wire extensions or three 2-wire extensions, these clips are very flexible and can bend open farther to hold even more. 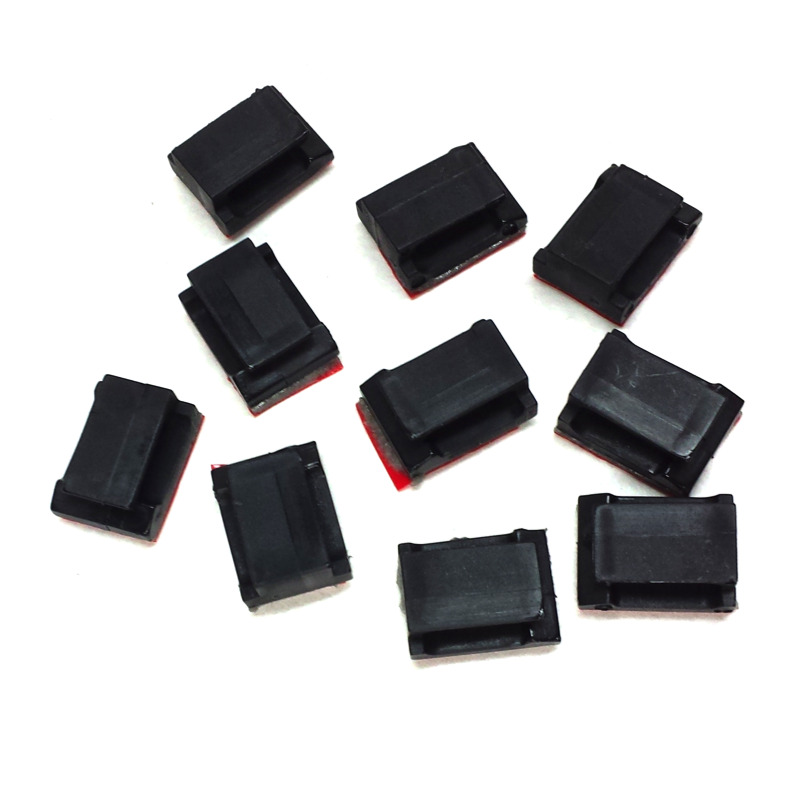 Includes 20 Self Adhesive black plastic clips.